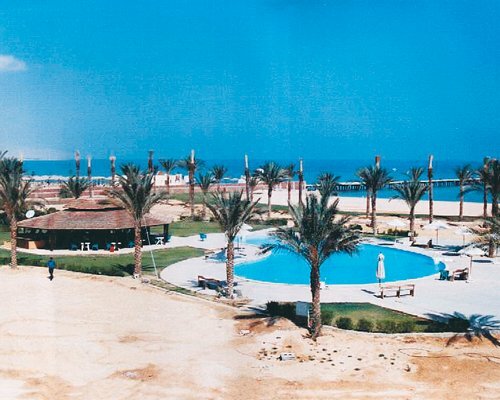 El Wadi Resort facilities include the Beach, Waterskiing, Windsurfing, Pool, Children's Pool, Horseback Riding, Games Room, Playground, Telephone and Laundry. 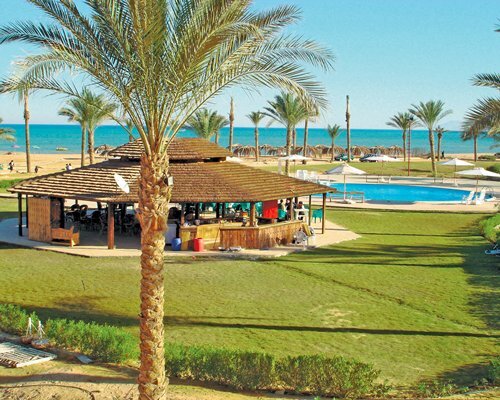 El Wadi Resort is located on a beautiful sandy beach on the shores of the Red Sea, only 120km from Cairo at Al Ain Alsokhna. The excellent year round climate allows visitors to enjoy numerous water activities such as fishing, surfing and boating. Or visitors can relax and use the on-site swimming pool, resturant or playground area. Nearby guests can find Scuba Diving, Boating, Golf, Tennis, Live Entertainment, Grocery, and Medical Facility.